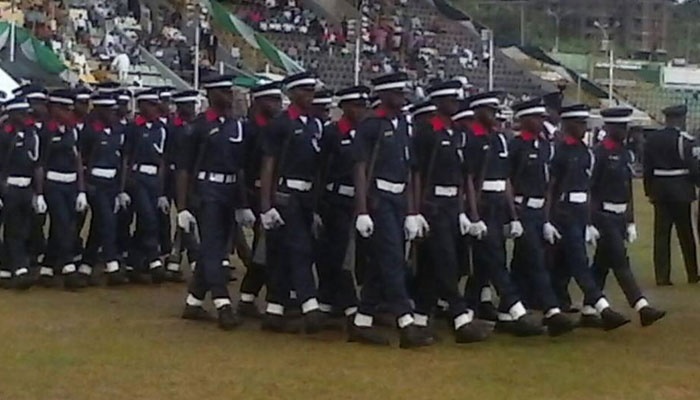 Stay Out Of Politics, NSCDC Warns Personnel? Commandant of Nigeria Security and Civil Defence Corps (NSCDC) in Kano State, Mr Shuaibu Mahmud, has warned personnel of the Corps against partisan politics.? Many Nigerians have severally warned about this but can only hope that they begin to listen as the 2019 elections get closer. The new Commandant of Nigeria Security and Civil Defence Corps (NSCDC) in Kano State, Mr Shuaibu Mahmud, is also hoping his men heed this warning. "Your excellency, some of the ‎personnel are involved in partisan politics directly or indirectly and Nigeria’s public service rule doesn’t allow that, more especially for uniform men. "If they want to join politics they should remove their uniform and join politics or remain uniform men and assist the citizenry. "The message I have for you from the Commandant-General is that if you have an issue as the Chief Security Officer of the state with any of our corps personnel involved in politics, just write to him directly for necessary action," he said. Please, share with your family, friends and loved ones.